By Fiona Bramzell - December 2007. ‘Diets don’t work!’ We’ve all heard it said, but still, the dieting industry continues to make huge profits from our hopeless efforts. As their stocks go up, so do our dress sizes! 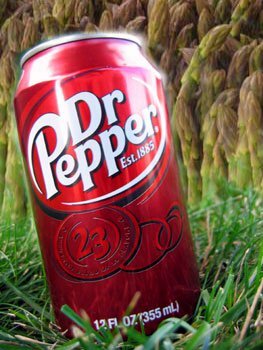 Even so, I can guarantee if tomorrow we heard the news that drinking Dr. Pepper, combined with eating asparagus whilst standing on our heads resulted in super fat burning weight loss, we’d all be doing it. Sounds ridiculous, but think about those other crazy fads that we’ve followed. There’s been the grapefruit diet, the famous cabbage soup diet, the ‘eat for your blood type’ diet and even the ice cube diet! And when all else fails, there’s always that super healthy ‘caffeine and cigarette diet! It’s amazing what we will swallow (pardon the pun) if we’re told it’ll reduce our waists. Of course, the reasons why we have this urge to shrink ourselves is open to debate. There’s absolutely nothing wrong with wanting to drop a few pounds but as we know, for many people, unfortunately mostly women, it doesn’t stop there (another subject for another time!) The interesting point is, we seem to ignore the real facts about weight loss and health, preferring to focus on the purely aesthetic reasons and this is a huge problem, both to our physical and mental states. Why do we choose to ignore the true experts but are willing to take the word of say, Suzanne Somers? You wouldn’t get open heart surgery from Paris Hilton, would you? Diet books and programs can fall into basic categories, some more harmful than others. The first and most dangerous is the out and out fad diet – the one that guarantees maximum weight loss in minimum time. Any diet that allows you to eat less than 1000 calories a day or lose more than about 2 lb. a week is one to be avoided. It is this type of program that generally consists of eating one type of food, like the aforementioned cabbage soup diet, or relies on it’s own products such as meal replacement bars and drinks. The second type is the one that appears to be the ‘real thing’ and to some extent, may work. An example of this would be something like the ‘South Beach’ diet or the Atkins diet. Usually touted by talk show hosts, these books, not to mention their authors, become hugely popular, hitting the best seller lists overnight. To give them credit, the ‘inventor’ of the diet may indeed have some worthy credentials, such as Dr. Atkins, but more likely the claim to fame is through being either chef, personal trainer, life style coach, dog walker etc. for some celebrity. Many of these plans will work short term and it is for this reason that they are successful. We all know a relative or neighbor that lost a ton of weight through the Zone/ GI/ Mediterranean/ Fit for Life diet, don’t we? The secret when following these diets is to know which pieces of advice to follow and which to ignore. For example, the controversial Atkins diet is great in theory as long as it’s not taken to extremes. 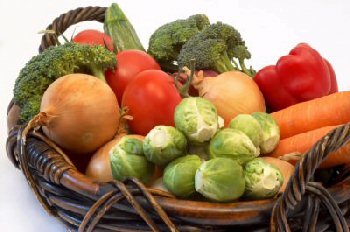 As you probably know, the diet forbids any type of carbohydrate but allows, in abundance, protein and fat. Yes, most of us probably do eat too many carbs but the body needs them for vital functions! You just have to know which type of carbs to go for. The same goes for fats. Our body needs fat, the good type of fat. It is a popular myth that any fat going in relates directly to fat on our body (a moment on the lips, a lifetime on the hips kind of thing!). Not true. Fat in our diet performs some vital functions, you just have to know which type of fats to stay away from and given the wide availability of nutrient labeling, there is no excuse for clogging up our arteries with hydrogenated crap. 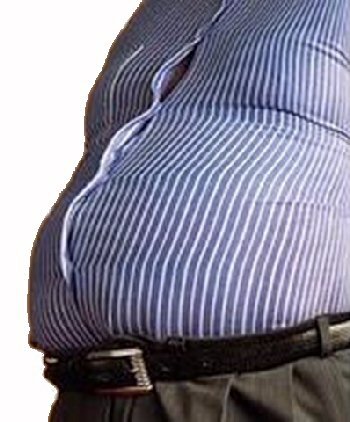 If you are serious about weight loss, particularly for health reasons, the best advice is from a registered dietitian. Everyone is an individual and thus needs a plan designed just for them, taking into consideration their medical condition, age, weight goals etc. What a good diet will do is produce steady results and more importantly, results that will last. The worst thing we can do for our bodies is subject it to the usual yo-yo weight loss cycle that is the inevitable effect of most fad diets. And finally, here are a few popular myths that, whilst you know deep down do not work, we still cling to as gospel! No eating after 8 p.m. Eight o’ clock has always been this magical time when suddenly any food we ingest turns straight to fat! True, eating a huge meal right before going to bed isn’t that good for you, but the effect may be indigestion rather than obesity. Eating lighter fare later in the day is a good idea, but a late night blow out now and then is permissible too! This myth relates to the whole meal-replacement theory, which involves only eating a ‘proper’ meal in the evening with shakes and diet bars the rest of the day. Obviously this doesn’t work. Skipping a meal, usually breakfast is a really bad idea. All we are doing is delaying our calorie intake until later in the day, with the idea that the longer we go without food, the less calories we take in. Think about this next time you’re gorging on the stale staffroom ‘tim-bits’ at 4 p.m.
We all jump on the low-fat/ no-fat products with glee, not remembering that these foods still contain calories if not the fat. And often, because the fat is replaced with another yummy ingredient i.e. sugar, they end up being worse for our bodies than a little bit of fat would have been! Again, be sensible. Replacing homo milk with skim is great, just beware of going overboard on the whole fat-free, baked not fried, no trans-fat bandwagon. Take your pick – neither has been scientifically proven for weight loss. Eating spicy foods certainly isn’t bad for you and can give your metabolism a kick-start, as can caffeine or any other stimulant, but it shouldn’t be relied on for weight loss. Same with raw foods. They may be good for you but this is simply from a nutritional point. And while some foods are better in the raw, it is wise to learn which can actually benefit from being cooked, which in some cases releases nutrients and vitamins. The key to all the weight loss and diet plan overload is this – become an educated consumer, both when shopping and when eating. Any balanced diet combined with a healthy amount of movement (yes, I mean exercise!) will keep you healthy and at a weight that is right for your individual body.